I spent a great deal of time in the 1990’s painting the landscapes of California. 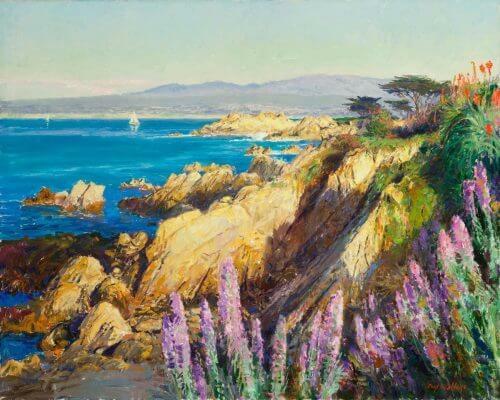 I painted this in the colorful seaside village of Pacific Grove near Monterey. This is one of many paintings that always evokes fond and loving memories. Each time that I see this image I think of my late friend Lee Hubbard. She always shared her home with me on painting trips, and taught me to appreciate the local flavor of the many cultures making up the communities of California. Her advice still guides me today.